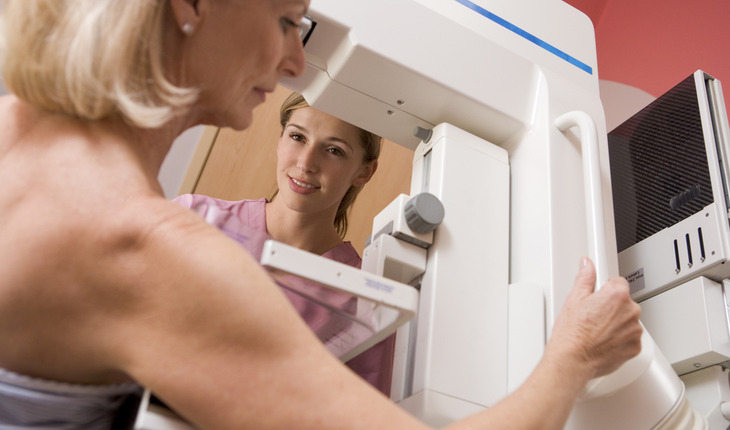 Mammograms for women over the age of 70 s doesn’t prompt a sharp fall in advanced disease and may instead lead to overdiagnosis and overtreatment, according to research led by a team based at Leiden University Medical Centre in the Netherlands. Their paper was published in BMJ,, coinciding with the opening of the Preventing Overdiagnosis conference on September 15th 2014, where experts from around the world discussed how to tackle the threat to health and the waste of money caused by unnecessary care. The conference is hosted by the Centre for Evidence-Based Medicine at the University of Oxford in the UK in partnership with BMJ‘s Too Much Medicine campaign. A release from the publisher notes that the upper age limit for the national breast cancer screening program was extended to women aged 69 to 75 in 1998 in the Netherlands, and national guidelines now recommend screening women up to the age of 75. This is despite no strong evidence showing that screening much older women is effective, say the researchers, due to the rarity of this age group in any of the clinical trials on which the policy is based. But breast cancer is the most common cancer and biggest cause of death from cancer in women around the globe. And as populations age, the proportion of older women who are diagnosed with the disease is set to increase in the developed world. The researchers therefore wanted to find out if the national breast screening program in the Netherlands has made a significant dent in the numbers of late stage cancers among 70-75 year olds – a hallmark of success. They tracked all new cases of invasive and non-invasive (in situ) breast cancer, diagnosed in this age group from 1995 up to 2011, using data from the Netherlands Cancer Registry. They separated cases into the period before (1995-7), after (2003-11), and in-between (1998-2002) the introduction of the national screening program, which came to almost 25,500 in all. And they included 13,000 women aged 76-80, to take account of any changes in breast cancer incidence among older women ineligible for national screening. Analysis of the data showed that new cases of early stage breast cancer among 70-75 year olds rose sharply after national screening was introduced, from 248.7 to 362.9 per 100,000 women. But while there was a significant fall in the numbers of new cases of advanced breast cancer, the absolute decrease was small, dropping from 58.6 before, to 51.8 cases per 100,000 women after, the national screening program was introduced. Among 76-80 year olds, new cases of early stage disease fell slightly, but the numbers of new cases of advance breast cancer didn’t change. Overdiagnosis and overtreatment are important, the researchers emphasize, because they can undermine quality of life, and because older people are more vulnerable to the side effects of breast cancer treatment. And they come with a potentially hefty price tag in return for little obvious health benefit, they point out. “Instead of using mass screening, the decision to participate in the screening program should be personalized, based on remaining life expectancy, breast cancer risk, functional status and patients’ preferences,” they conclude.